Millions of Americans struggle with anxieties when it comes to general dentistry. The sights, sounds, and smells of a dental office are often too much for some patients who have had negative past experiences in a dental office. Patients who are dealing with fear of seeing a dentist for treatment may benefit from visiting Virtue Dental Care, a practice in the Yadkinville area that offers a sedative before dentistry treatments. 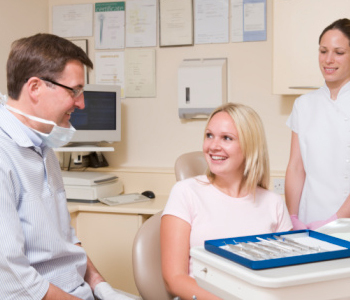 At Virtue Dental Care, we fully understand the anxieties that can be formed around visiting the dentist. Dr. Virtue and his team provide sedatives such as nitrous oxide and oral conscious sedation to help patients get the services they need to achieve and maintain a healthy smile. Using sedation methods that have been proven successful for patients is the best way to get these adults in for the treatments they need, including regular cleanings, x-rays, and services such as restorations. Sedatives can also help in other situations. Patients who have trouble sitting still or who have nervous tics can use dental sedation to ease these and allow Dr. Virtue to perform the necessary treatments. Patients who have strong gag reflexes may also use nitrous oxide or oral conscious sedation to help relax and keep them from being a problem. Others may want a sedative if they are undergoing complex treatment, to make them comfortable for extended periods. Past experiences can greatly affect one’s feelings towards a simple visit to the office, as well as the feeling of uncertainty that comes with visiting a dental facility. Dr. Virtue works hard to ensure his patients are at ease each time they visit him, and provides sedation to make visits less stressful and more positive. This encourages patients to return for the treatments they need to achieve and maintain a healthy, beautiful smile for life! If you live in the Yadkinville area and you are seeking a dentist who truly understands the feelings associated with visiting the dentist, look no further than the team at Virtue Dental Care. Our practice provides friendly, comprehensive general dentistry and cosmetic services for patients in the surrounding communities.